Benchmarking Studies - 3Targets Consultants Ltd.
Project benchmarking is a part of the organizational knowledge base management system enabling companies to compare the performance of their capital projects and systems with industry averages and identify opportunities for improvement. 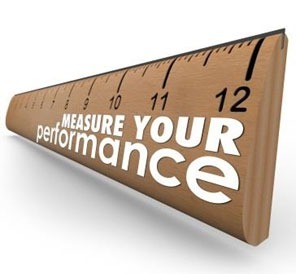 Benchmarking can be performed internally and externally. Internally, an organization may select a target project and compare its performance with other projects in the same organization. Externally, an organization may compare the performance of its projects with the similar projects in the same industry. In both, the main objective is to identify best practices that can be implemented within the organization to improve its project management systems and methodologies. Performing benchmarking studies on a variety of project outcomes and criteria such as cost, time, safety, and performance to provide trends and compare them with industry averages. Establishing mechanized systems to let companies collect and analyze data and generate benchmarking information by themselves. Benchmarking is a continuous effort of analysis and evaluation. It is important to identify a few critical success factors that are important for an organization business to flourish. However, sometimes the required information is hard to find. We encourage our customers to connect with the Benchamarking and Metrics (BM&M) program of the Construction Industry Institute (CII), and benefit from its large pool of construction industry best practices, covering all project phases from feasibility and concept to handover and closeout. 3Targets Consultants is run and operated by a group of professors from Canadian universities and highly qualified experts from construction and energy industries. Core competencies are project and portfolio management in building, heavy and industrial construction industries, and the oil and energy sectors. Services offered including team building and alignment, project health check and recovery, benchmarking studies, lessons learned systems, project fast tracking, and project risk management are based on best practices globally acknowledged by reputable professional organizations such as the Project Management Institute (PMI). All Rights Reserved for 3Targets Consultants Ltd.